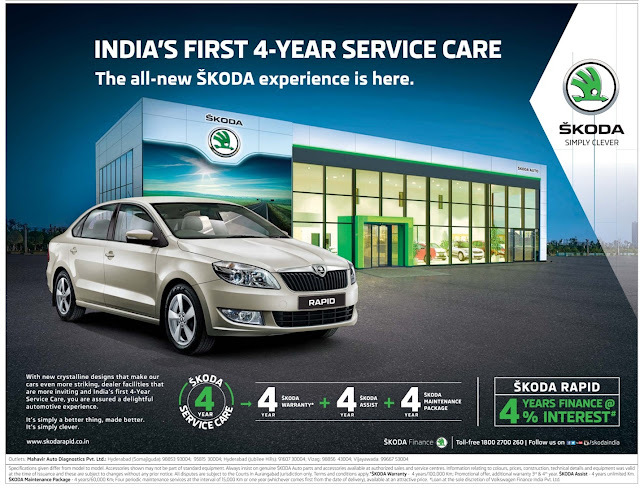 Skoda rapid | India's first 4 year service care | September 2016 discount offer. 4 year skoda warranty + 4 year skoda assist + 4 year skoda maintenance package. Skoda Rapid 4 years finance @ 4 % percent interest rate.